Posted by grhomeboy in Games & Gadgets, Media Radio TV, Music Life Greek. A digital music service provider for music downloads has teamed up with the Dias Group, one of the biggest media groups in Cyprus. The new service, www.music.sigmalive.com, offers current and classic Greek music as well as a plethora of genres and categories to satisfy to the most selective fans. www.Music.sigmalive.com will be the first digital music service designed for Cyprus by mpGreek, offering more than 70,000 Greeks songs available for download. It will allow users to download music onto their computers from the largest Greek digital catalogue, powered by mpGreek. It has all the features of online previewing, secure payments, digital rights management and full online customer service support. Prices are 1.10 euro per track. Purchased downloads can be burned onto CDs, transferred to compatible portable devices, and used on up to ten PCs. Also commenting was Sillia Vasiliou, Web Manager of Sigma Radio TV Public Ltd. “Sigma Live is the only legal site in Cyprus and the island’s first complete internet portal. As our slogan says, it has everything.” She said that the internet, “has transformed how we share information. From illegal downloads of music and video to illicit DVDs and counterfeit designer goods, there isn’t anything that’s not being replicated illegally. Included on the Sigma site is live streaming video and audio, podcasts and much more, giving the user the possibility to legally own the digital Greek music he or she loves. Visitors to the site can also enjoy continuous news, sport, lifestyle and business updates, as well as interact and express their views. “We position Sigma Live as a one-stop information and entertainment online shop,” Vasiliou said. 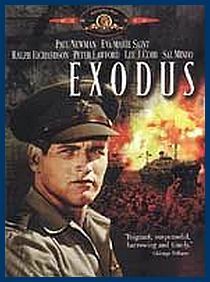 Cyprus has a rich film history, Paul Newman starred in “Exodus” that was made in Famagusta in 1960. The movie was produced and directed by Otto Preminger and filmed on location in Cyprus and Israel. Dirk Bogarde made “High Bright Sun” with Deholm Elliott in Cyprus in 1964, which however, is considered to be one of his less known films. Cyprus is hoping to cash in on the booming movie production industry by opening a film studio on the island. The Ministerial Cabinet has given the green light for a commitee to look at ways to attract producers to make films in Cyprus. There is also discussion of the creation of a film production studio, with a specialist to be appointed to carry out a study. With mountain, sea and and city locations, Cyprus could be a perfect location for producers wishing to create different environments. The closest film studios are located in Malta, which currently boasts the Mediterranean Film Studios. Dozens of movies have been produced in Malta, which offers standard back lots, water effects area and special effects.